KJIPUKTUK (Halifax) -- Winter in Halifax. For some of us living within the confines of this city, the memories of the season bring back a flood of exasperation and desperation-fuelled images – all related to the snowbound jungle that became our landscape over the past two years. Icy ruts on our side streets; piles of rock salt – or no salt at all; impassable mountains of snow blocking our sidewalks; slush and more slush; bus shelters ploughed in; and on and on. For some, it was an inconvenience. As an able-bodied individual, it was a daily frustration. For folks with particular mobility needs, it became a matter of being housebound for days and weeks on end. By late February, folks were demonstrating on the issue of inaccessible sidewalks outside of Halifax city hall. Granted, the city did publicly apologize for its ill-preparedness. And of course, the past two winters have recorded abnormally high snowfalls. But, are we any more prepared this year? Or are we collectively looking to the skies, praying for a calm winter? Mark Cunningham, president of CUPE Local 108, thinks that we should be seriously rethinking our local snow removal plan, and that it should involve more than just hope and contrition. 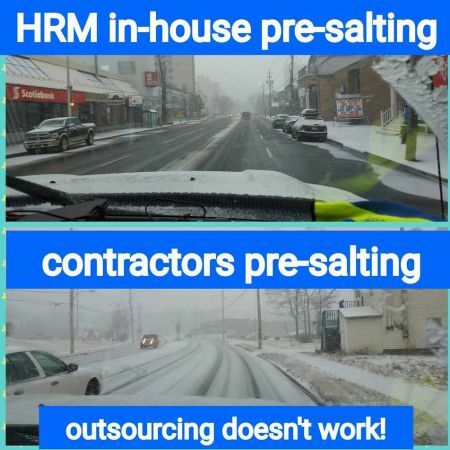 To Cunningham, it's the manner in which the city of Halifax has tailor-made the privatization of snow removal into a 'big business' of its own, rather than offering up contracts that smaller companies might be able to successfully bid upon – never mind keeping the service in-house. “Over the last ten or fifteen years, the city has outsourced more and more of our streets,” says Cunningham. “Orignially, these contracts were outsourced to hourly-based contractors. They'd bring in a truck here and there for a small route. 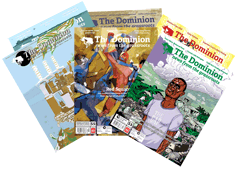 For an analysis of these contracts – including where we collectively stand as a city in their duration, check out this article by The Coast's Jacob Boon. Sidewalk contracting, of course, was another failure entirely, and required its own treacherous form of navigation over the past two winters. In 2013, sidewalk clearing switched from a homeowner's responsibility to a privately-contracted service provided by the municipality. The real rub is that this sub-par – and frequently dangerous – service was provided at tax-payers' expense. At the time, CUPE Local 108 filed a grievance against the tender award. “Our streets and sidewalks used to be done, in majority, by in-house staff,” continues Cunningham. “When we did the snow removal, we did it from curb to curb, we were out on time, we met the standards. To remove snow from sidewalks, you have to have a lot of resources on those sidewalks. Cunningham also notes that his union isn't even equipped to handle the slim wedge of the snow removal pie it has left. “I'd say that in-house, we're still handling about twenty percent of the roads and most of these are within the downtown core. We used to have some one ton ploughs with built-in salters. They were four-by-fours and really good at snow removal. But they were high maintenance and needed the upkeep. The municipality, to be sure, did respond to the enormous amount of snow-removal-related complaints of the past two years, and created a Strategic Direction Recommendations as to its winter operations in early August, 2015. The kicker is, despite the lacklustre performance of privatized contracts on both roads and sidewalks, the contracts themselves still stand for at least this winter. So, to folks like Cunningham, the recommendations contained within the city's report are largely cosmetic, rather than constructive. The answer? Prayer for minimal snowfall, perhaps. That, and a new facebook group calling out contractor fails.